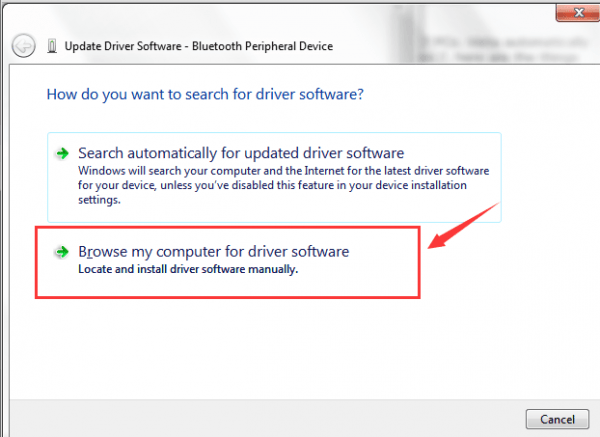 If you’re on Windows 7 and you see the error message saying No driver found after you pair up your Bluetooth devices, you’re not alone. Many Windows users are reporting this problem as well. But no worries, it’s possible to fix. Here are 3 fixes for you to try. You may not have to try them all; just work your way down until you find the one works for you. One of the first things you do when you see notification like this is to update your Bluetooth device drivers. 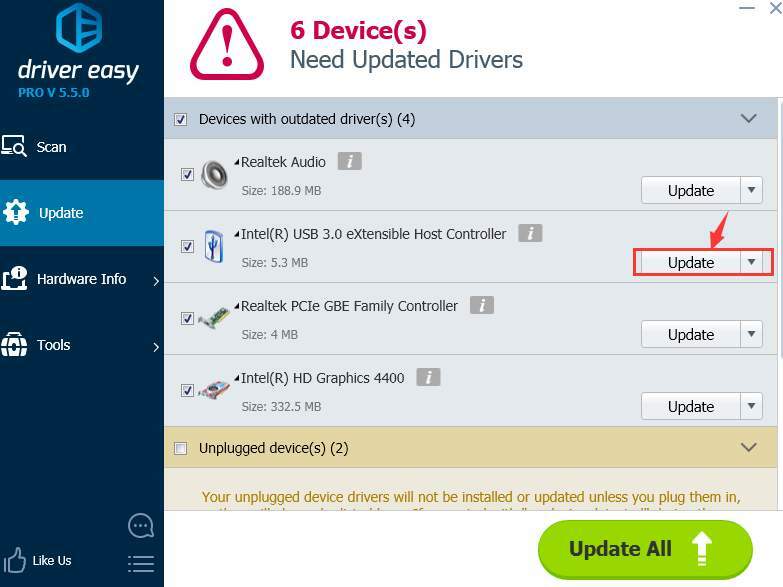 You can do the update via Device Manager, Windows Update, or go straight to the manufacturer support website. But you should only do so when you are certain about what you are doing. 2) After the download, double click the drvupdate-x86 or drvupdate-amd64 exe file accordingly to run the installation. 3) Go to Device Manager. 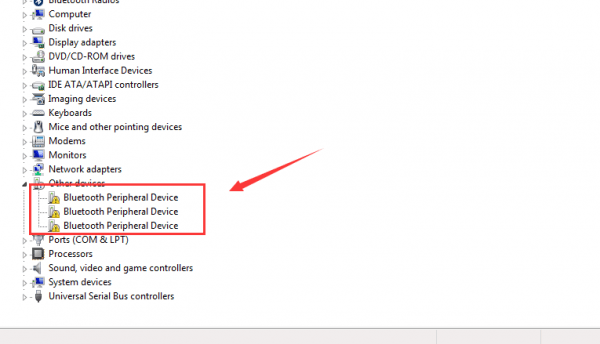 Locate Bluetooth Peripheral Device under the category Unknown devices. 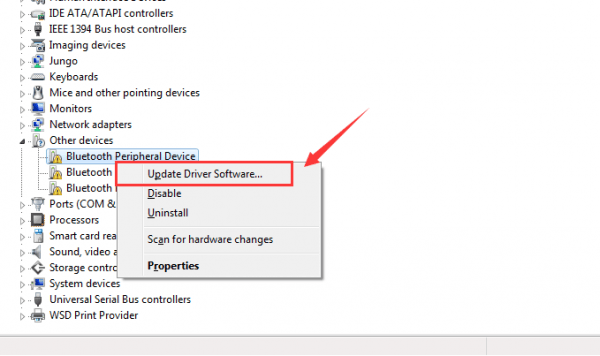 4) Right-click one of the devices and click Update Driver Software…. 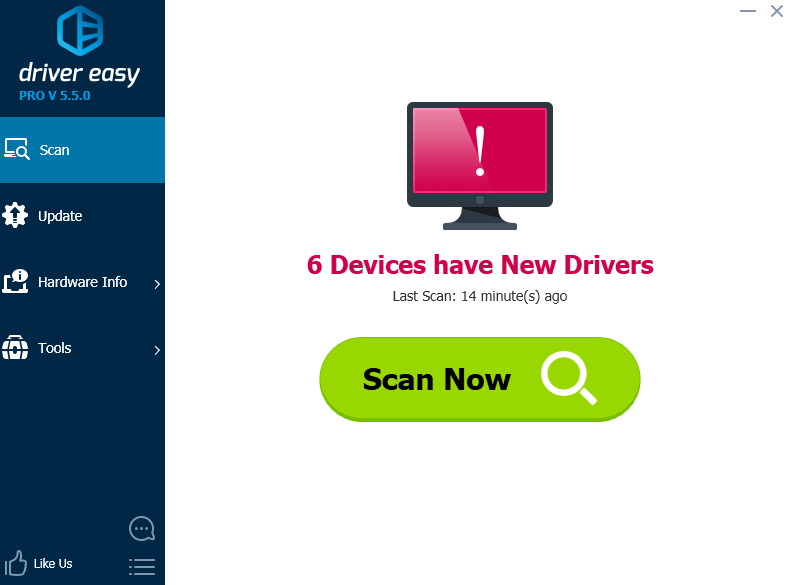 5) Click Browse my computer for driver software. 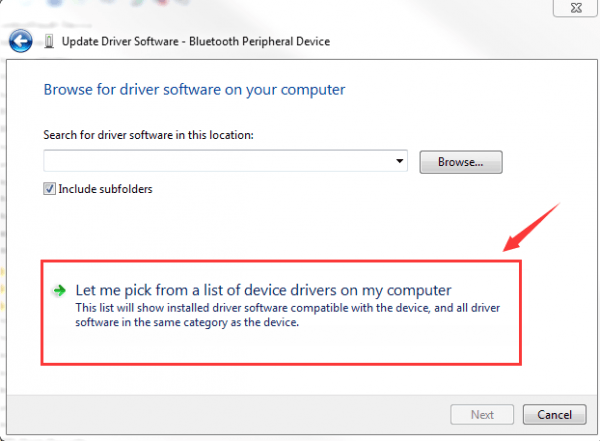 6) Click Let me pick from a list of device drivers on my computer. 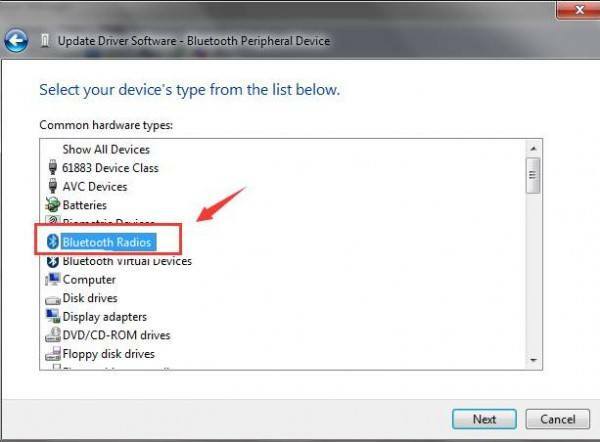 7) If you are asked to select from a list, please select Bluetooth Radios. 8) Then in the next window, it will show a list of drivers with Manufacturer in one list and driver model in another. Click Microsoft Cooperation. 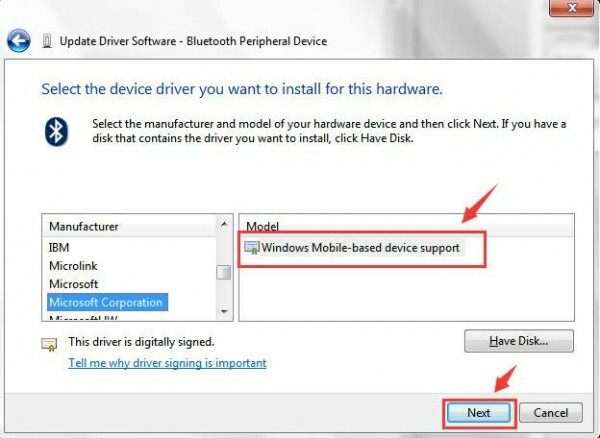 9) You might see more than one drivers with the name Windows Mobile-based device support. You can choose the latest version of them. Then press Next to continue. 10) Ignore the warnings and keep pressing Next and then Finish in the end. 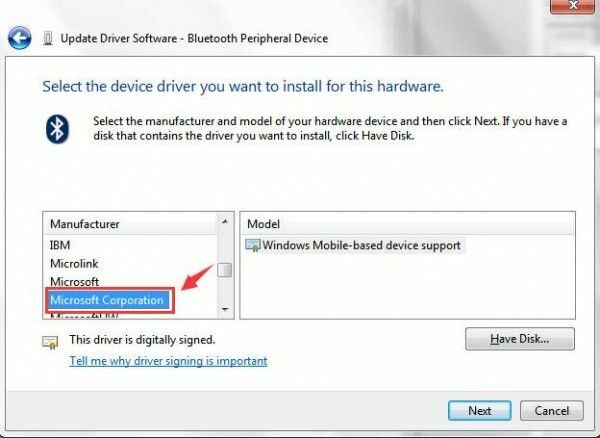 If the installation goes well, you will be able to see the message that device driver is successfully installed. 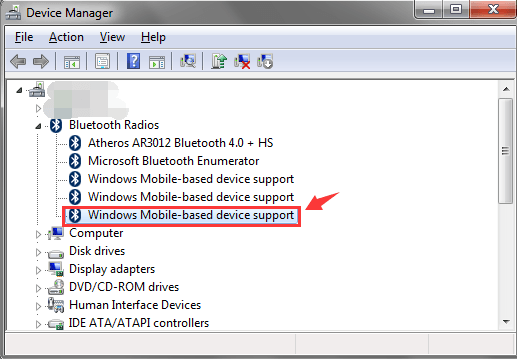 11) In Device Manager, expand Bluetooth Radios option, it should display one more item which says Windows Mobile-based device support. 12) If you have already added the device in your Bluetooth device list and it is not working, you need to remove it and add it to the list again. You might need to restart the computer to make the changes take effect.